Whitehill Junior School is located in Northampton. The school uniform colour is bright blue, so the turquoise blue chosen for its leavers hoodies matches extremely well. 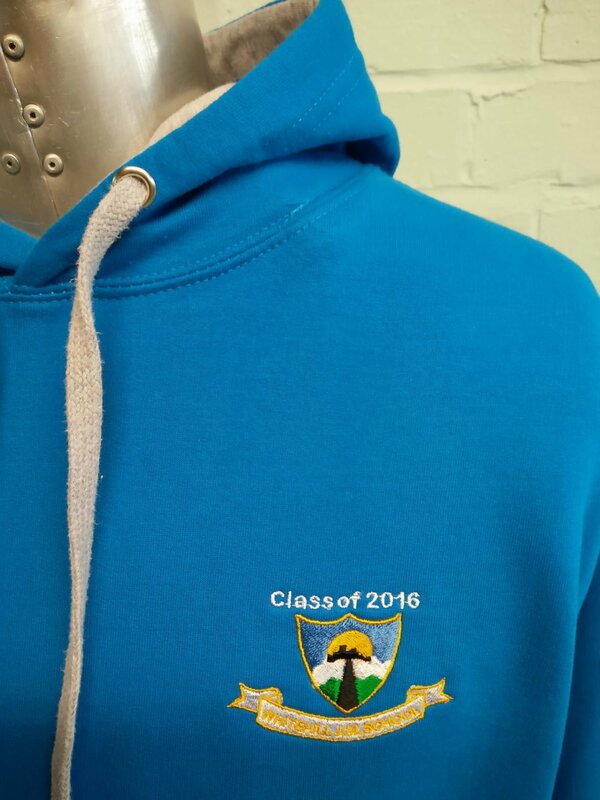 These school leavers hoodies look very smart, with a contrasting grey interior and neck ties. Further complementing the aesthetic of the hoodies is the logo, which is embroidered onto the left-hand side of the front of the hoodie, like it would be on a school uniform. 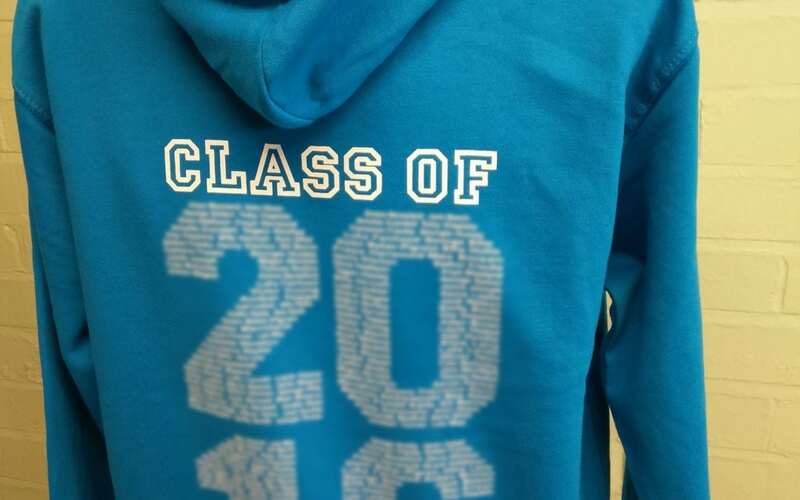 Unlike school uniforms, the leavers hoodie also features printing on the back, comprising of two different font types – one for the words ‘Class of’ and another for the number 2016, which are made up of individual student names. 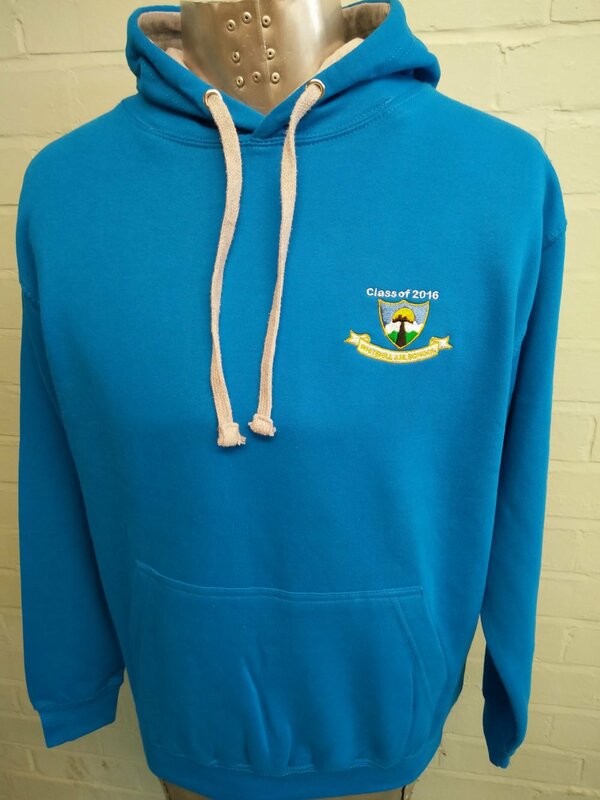 If you would like a similar style of leavers hoodie for your school or college, please feel free to review the styles, colours and different types of personalisation available by taking a look at our product and design options pages. For any further advice, feel free to call us on 01858 461 686.